muralThe mayor of Estepona, José María García Urbano, and the area director of CaixaBank in Eastern Andalucia and Murcia, Juan Ignacio Zafra, presented the I International Murals Competition of Estepona, organized by the Estepona Town Council, with the collaboration of the “la Caixa” Social Fund. The mayor explained that this contest will bring the number of artistic murals on buildings in Estepona to fifty, putting this cultural project, in both number and originality, among the most prominent internationally. This artistic initiative will see ten professional international artists carry out their works, simultaneously, in different areas of the town. Mayor García Urbano has referred to the process of modernization and economic and social revitalization that Estepona has enjoyed in the last five years with the renovation of infrastructure and commitment to culture; At the same time he has been convinced of the relevance that this artistic endeavour will have on the tourist and social development of the municipality. The participants will be able to present their designs until the 31 of March, with the execution of the selected works taking place during the month of July. 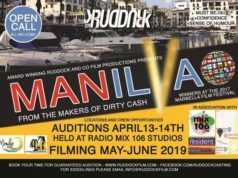 The contest will have a first prize of 10,000 euros and a second prize of 5,000 euros. The social impact of this contest is closely linked to the spaces selected with the collaboration of the Obra Social “la Caixa”. The territorial director of CaixaBank has emphasized precisely the social nuance of this contest “which coincides fully with the objective of the art having a social relevance, in accordance with the tradition that the mural has been used for throughout history, especially since the beginning of the last century with, among other events, the Mexican Revolution being an important reference” he explained. Within the framework of the competition, the “la Caixa” Obra Social and the Town Council of Estepona will develop different initiatives, such as a programme of training unemployed to be tourist guides for the route of the murals, talks by selected authors to young people of the locality, guided visits to disadvantaged groups, and training workshops. The Estepona Town Council has already executed over thirty artistic murals on buildings in different neighbourhoods of the town, within the municipal project to bring culture closer and revitalize these spaces through this expression of urban art. The initiative aims to provide artistic installations in various spaces on the periphery of the historic town centre to contribute to the aesthetic and social transformation of these environments. 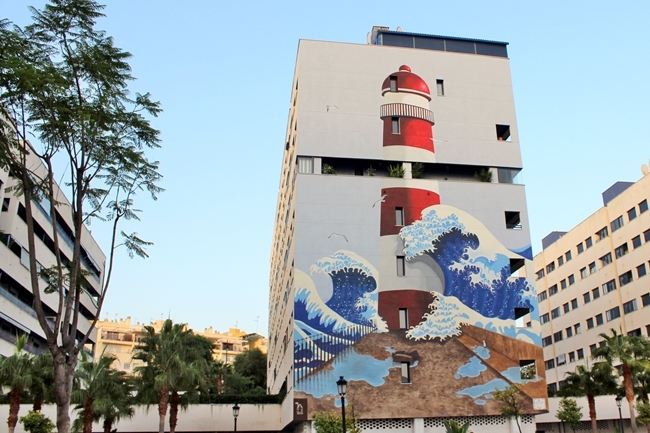 With this type of creative paintings on the facades of buildings, Estepona is situated alongside other Spanish and European cities at the forefront in terms of artistic interventions in outdoor spaces. This open-air museum has such unique works as ‘Reflejos del jardín’, the largest vertical mural in Europe by a single artist which simulates a natural environment around the Botanical Gardens and Orchid House, or ‘Día de Pesca’, which became the vertical mural with the greatest surface in Spain, both creations of the realistic painter Jose Fernandez Rios. Similarly, in addition to these hyperrealist works, there are more abstract ones such as the one made in wood by the resident artist in New York, Javier Infantes, or that incorporate more alternative techniques like graffiti, in the mural produced by ‘Nano4814’. Alongside these can also be found worksby Francisco Alarcón, Néstor Plada, Juanjo San Pedro, Curro Leyton, Conchi Álvarez, Eric Aman, Ana Torralba, Blanca Larrauri, Miguel González, Encarna de Hoyos, among others. Another interesting work was produced by inmates at the Alhaurín de la Torre prison which joins the others on this route. Other creations also celebrate “Quixote of the XXI century” by Curro Leyton, a tribute to Cervantes on the 400th anniversary of his death. There has also been a mural dedicated to refugee children, entitled ‘In Memoriam’, a joint work by Pilar Castañón and María Romero. This artistic project complements the municipal initiative ‘Estepona – Garden of the Costa de Sol’, for the beautification and integral renovation of the urban landscape, which has already seen 87 streets redesigned to highlight the typical Andalucian decor.